Women in Cybersecurity (WiCyS) conference. Last week’s Women in Cybersecurity (WiCyS) conference drew over 1,300 cybersecurity professionals and students to meet and mingle under one roof. WiCyS is a 501(c)3 non-profit organization dedicated to recruiting, retaining and advancing women in the field of cybersecurity. Each year, WiCyS holds an annual conference with a local host university partner. This year’s WiCyS Conference (March 29-30) was hosted last week by Carnegie Mellon University in Pittsburgh. 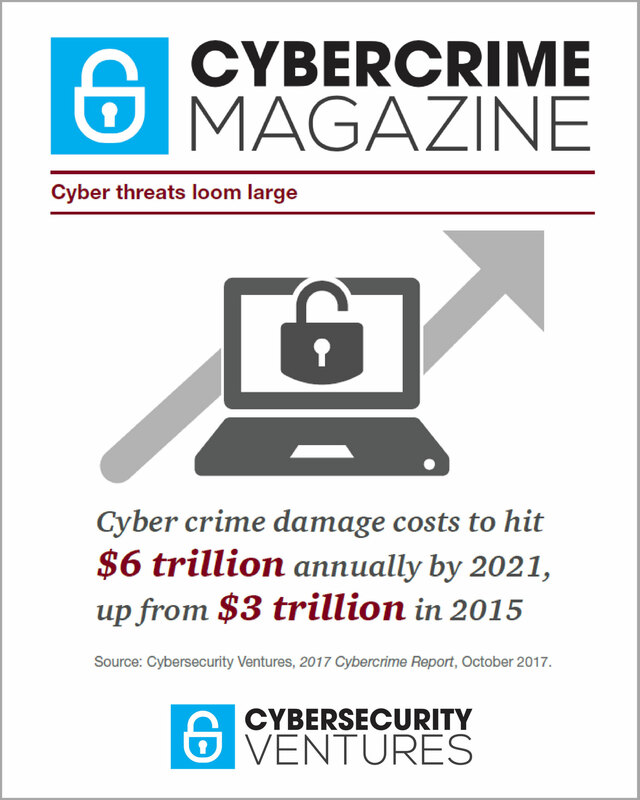 Cybercrime Magazine was present at the event, where we announced our Women In Cybersecurity Report in a lightning talk Friday evening. Research from Cybersecurity Ventures, which first appeared in the media early last year, predicts that women will represent more than 20 percent of the global cybersecurity workforce by the end of 2019. The report was received with much enthusiasm from the audience. The conference was abuzz with excitement from start to end. Over fifty percent of the attendees were current students in various cyber programs around the country. All of these students are female. The remaining attendees were educators, businesses, and mentors, about 10 percent of whom were male. The female-centric atmosphere made for a unique feeling of sisterhood, support, and encouragement. WiCyS offers mentoring, learning, networking and career development to women at all stages of their cybersecurity careers. To encourage more networking, the conference made good use of the Whova App, where attendees could network with one another before, during, and after the event. The app includes access to a jobs board where a variety of cybersecurity positions are posted, providing an excellent opportunity for career advancement. In addition to this, WiCyS had a resume-building workshop for students and professionals alike. There is no doubt that we need to tap more women for jobs in cybersecurity if we ever hope to fill the enormous talent shortage in cybersecurity. Companies need to have access to a pipeline of qualified candidates for cybersecurity jobs, and WiCyS certainly helps fulfill this need. WiCyS’ founding partners are Facebook, Cisco, and Palo Alto Networks, all of whom had senior-level representatives at the conference. Friday morning’s keynote address, “Courage, Passion, and Data: Boldly Challenge the Status Quo in a Perpetually Evolving Security Threat Landscape,” by Michele Schochet, director of security at Facebook, was especially well received by the audience. Schochet was the subject of many “selfies” with her fans throughout the event. Another fascinating presentation was Lorrie Cranor’s keynote, “Tales of an Accidental Computer Science Professor.” Cranor is the director and Bosch distinguished professor in security and privacy technologies of CyLab and the FORE Systems, and professor of computer science and engineering and public policy at Carnegie Mellon University. She spearheads research about password security at the CyLab Usable Privacy and Security Laboratory and has authored over 150 research papers on online privacy, usable security and co-edited the book, “Security and Usability.” She is also a visual artist and does quilting to show how patterns work in computer science. Wendy Nather, head advisor for CISOs at Cisco, brilliantly broke down the divide between investing and security and budgeting for ROI in her keynote, “Solving for the Security Poverty Line.” Her keynote dove into security problems faced by organizations that do not have full IT capabilities. Weighing the cost of security against the bottom line is an essential topic for CISOs to consider as they attempt to translate cybersecurity into business terms when talking to the C-suite. currently include Dr. Janell Straach, professor of Software Engineering and Computer Science at UT Dallas; Costis Toregas, associate director of the Cyber Security and Privacy Research Institute at The George Washington University; Dr. Dawn Beyer, Lockheed Martin (LM) senior fellow; Dr. Cynthia Irvine, a distinguished professor of Computer Science at the Naval Postgraduate School; Prajakta Jagdale (PJ), who manages the Red Team program at Palo Alto Networks; Jay Koehler, a diversity, inclusion and engagement manager in the Security & Trust Organization; Margaret Morton, Forbes Technology Council Member; and Dr. Greg Shannon, a computer scientist with diverse experience and a leading expert in science, technology, and policy for cybersecurity. Next year’s WiCys conference will take place at the Gaylord Rockies Resort & Convention Center in Denver, Colorado.